The Freedom Tower needs your vote to secure preservation funds that are available to only a few key landmarks in the nation. Known as the Ellis Island of the South, MDC’s National Historic Landmark Freedom Tower is a finalist in the Partners in Preservation 2018: Main Streets campaign. Landmarks that express our diversity as a nation are being considered for a share of a $2 million preservation fund. Grants will be awarded based on the number of votes a landmark gets. The Freedom Tower is one of 20 national sites in the running. You can vote for Freedom Tower once a day, every day, though October 26! If our Freedom Tower wins, MDC will use the award to continue renovations at the Freedom Tower and the Museum of Art and Design, which includes the Cuban Exile Experience exhibit. Our Education Room will be transformed to provide complimentary, age-targeted educational opportunities. 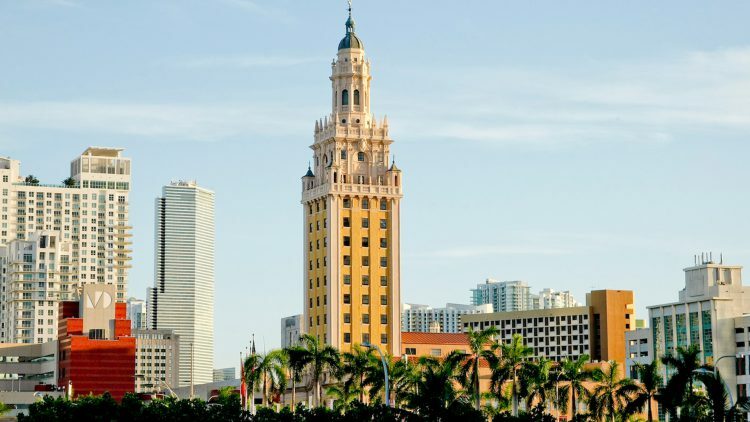 Well-known to the many locals who actually passed through its doors and to those who have come after them as immigrants into Miami, the Freedom Tower in Downtown Miami provided provided medical, housing and financial support to Cuban Refugees from 1962 to 1974. At one point, it also housed Miami’s first newspaper. The iconic building, now owned and operated by MDC, is a museum space, housing exhibitions that speak to Miami’s unique role as a cultural crossroads and a home for diverse populations. Haven’t been to Freedom Tower lately? In order to encourage voting, Freedom Tower is holding an Open House on October 20th featuring a full lineup of culture, music and art. Admission is free, RSVP required. You can vote for Freedom Tower once a day, every day, until October 26! Those who vote, may also enter a sweepstakes for a chance to win a trip to our nation’s capital at the close of the campaign.